Can you believe baseball season is starting? 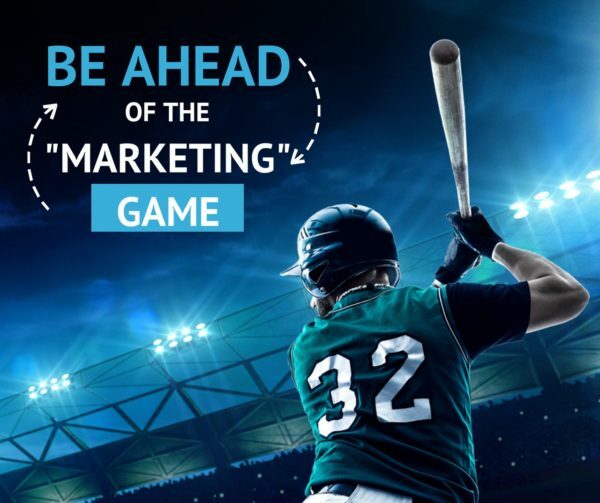 The Boys of Summer are back for another year of America’s favorite pastime and with that in mind, I thought I’d draw a few comparisons between baseball and your digital marketing efforts. Make it solid and effective. Listen to what your prospect has to say and then lay out a strategy that provides a solution. This is the essential building block of success. Make sure that your website, blog, social media platforms, or online store is compelling and easily accessible. Drive traffic to your website and other online assets such as a landing page, videos, or any other page that you have built. You have to get to first base before you can score. Online, that means getting quality traffic. Now that you’ve passed first base and have driven visitors to your site, keep them there with educational and engaging content. Use automated strategies to re-target, re-touch, and re-engage with prospects and clients in your pipeline. You’re almost “home” so don’t stumble when it comes to this critical aspect of your marketing. Clearly this is closed business – the result of rounding all the bases appropriately. Network! You can “steal” and capture attention by networking appropriately and adding more prospects and referral partners to your pipeline. Email Marketing is still important. Reach out to your database with tips and strategies that educate and remind them that you are there to help! Social Media managers, copywriters, web and graphic designers, and digital marketing consultants are the cogs behind the scenes that can keep the team focused on the goal and on track for meeting expectations.